It goes without saying that, the way to engage a child’s interest is to play on their passions – and, toys are always a source of fascination for our kids. Building and making is probably one of the most powerful hands-on-minds-on experiences a teacher or parent can provide a child with. As a child takes apart a broken toy or gadget they have the opportunity to develop21st century skills. It also introduces the child to the engineering design process and reverse engineering. It may also provide the fuel to spark their interest to pursue a career in the STEM fields. For most parents and educators, the toy box can be an endless source of frustration – full of items which are damaged or discarded as your child outgrows or loses interest in them. Most of us find ourselves regularly either throwing away toys or hauling sacks of them to the nearest charity shop – and missing out on a great educational opportunity. 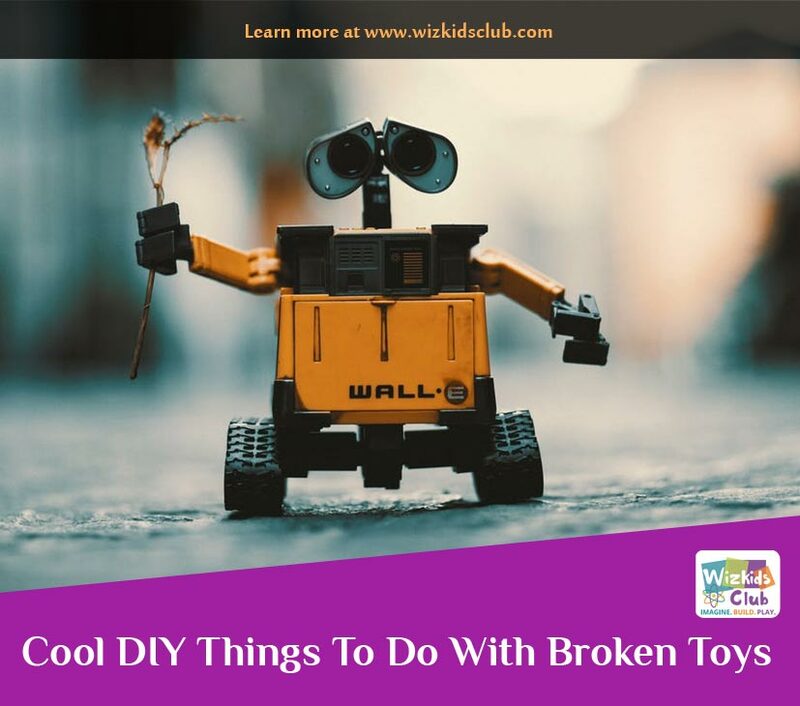 Discarded and broken toys offer an opportunity to develop your child’s inner engineer as explained by Diana Wehrell-Grabowski during her recent ‘Deconstruct and Recreate Workshop’. During the workshop, families were encouraged to bring along broken or unused toys which the child was then encouraged to take apart in order to strip them down to their various individual components. At the end of the session, the families were then shown how to identify useful parts in order to create a brand new toy or gadget. Although a relatively simple experiment, this is the beginning of a child’s understanding of the concept of reverse engineering – the act of taking something apart to find out how it works and, what else can be done with it. You’d be amazed at how many engineering disciplines are explored in the simple act of taking something apart and putting it back together again – and the best part is, this is something you can easily do with your child at home on a rainy afternoon. Not only does this experiment start to teach your child rudimentary reverse engineering skills but, it also gives your child the satisfaction of having created something themselves from the bare bones of something else and, who knows, it may also save you a little cash! 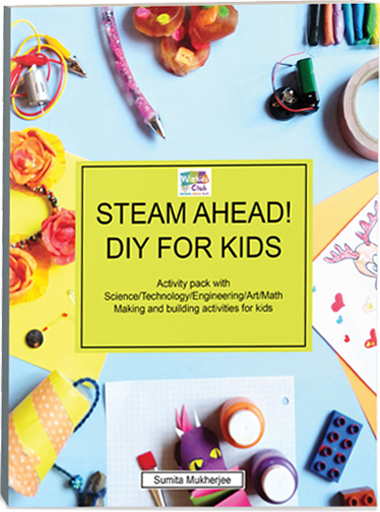 Once your child has got the knack of upcycling, the STEM book, ‘Toys And Games’ contains a whole host of fun ways for them to make their own toys and games from discard toys and other household objects – for the budding architect in your life, the book even shows kids how to make a whole city from paper! 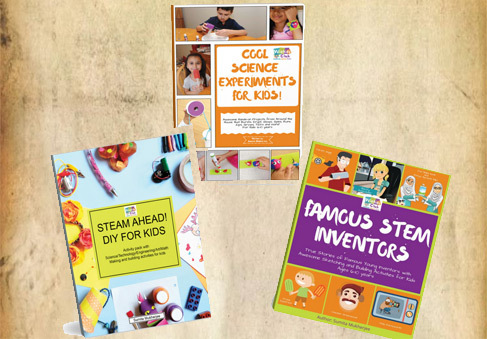 Maker Culture, STEM Education, and inquiry-based instructions to deconstruct gadgets, as well as children’s literature resources for tinkering, making and STEM is a sustainable and great way to engage kids. Your child never stops learning and, engaging them in the creation of their own toys and games is fun, educational and, can even help prepare them for the working world!